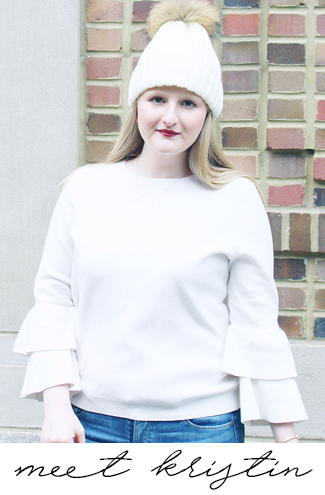 The Blush Blonde: Do You Want Some Cheese With That Wine? So the holidays are always a great time to get liquored up. Booze also make great gifts for your friends, especially if you're in college! This leads me to ask: have you ever tried fruit wine? I never had until a few months ago, I am allergic to grapes & when I mentioned to a coworker that I wish I could have wine she told me about it! Technically the fruit wine I like is a 'desert wine', but I've had it with dinner & while hanging with friends & think that it's delicious. The company that makes the ones I've tried, Tomasello Winery, is based in New Jersey, but sells to stores around the country. A major bonus: they will ship cases from their website to your home, & they even give discounts for members, which is too good to be true! Tomasello has four different 'Tasting Room' locations in New Jersey, & one is about 20 minutes from my house. Needless to say I need to plan a trip there ASAP. 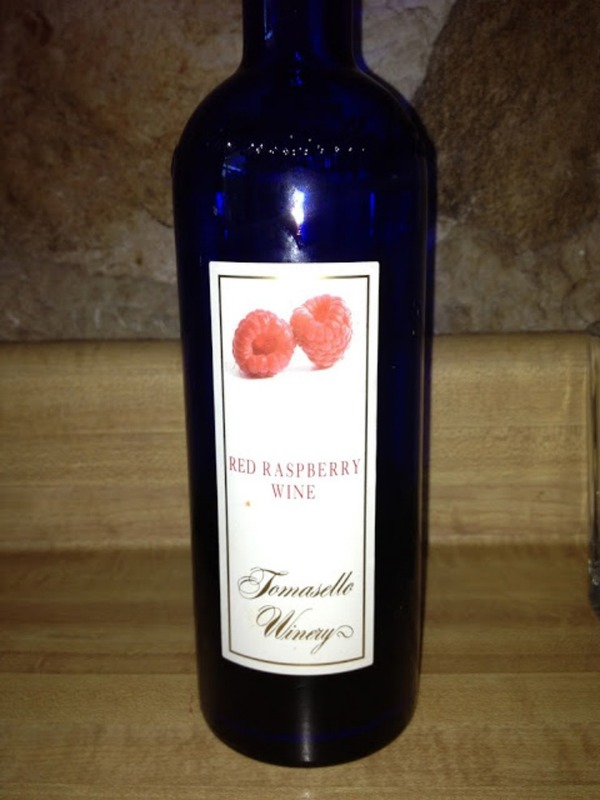 Tomesello makes Cherry, Cranberry, Pomegranate, Blackberry, Raspberry, Blueberry, & Blue-Pom wines without grapes, but I can only have the berry ones (holla fructose intolerance). 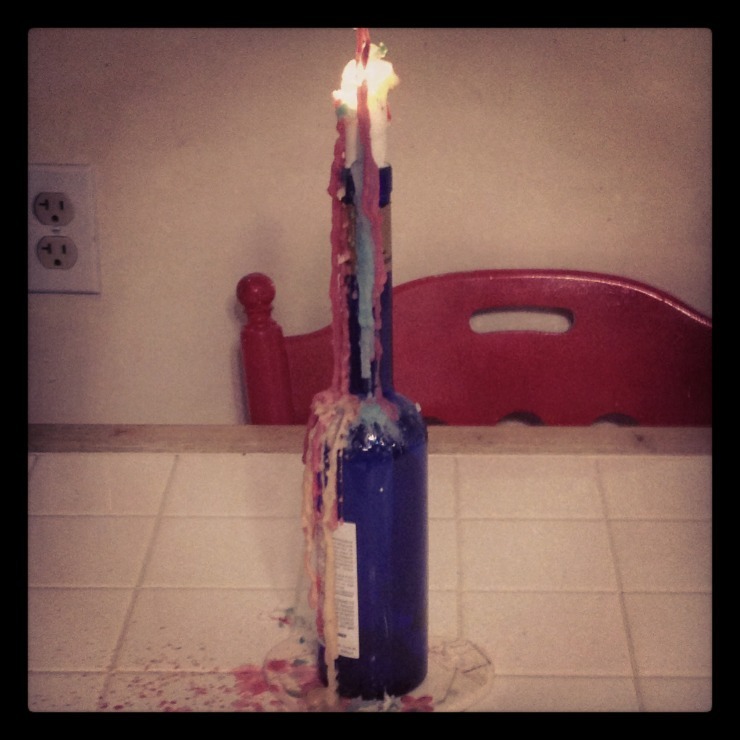 Empty bottle of Blueberry, that makes for a pretty candle holder, a.k.a. a great excuse to drink a bottle! I've tried the blueberry, raspberry, & blackberry flavors, they are all so tasty & go down very smoothly! My parents & friends who can drink regular wine all like it too. My wallet even likes Tomasello because it only costs $8.00 for a bottle, which is amazing for a poor college kid! If you like wine, I highly recommend trying Tomasello's. What do you think about grapeless wine? I love dessert wines. Would love to taste this brand! I've never had grapeless wine, but I love blueberries so I don't know why I wouldn't try it. I'll definitely have to add picking up a bottle to my post exams to-do list! Raspberry sounds interesting, must try that one day!